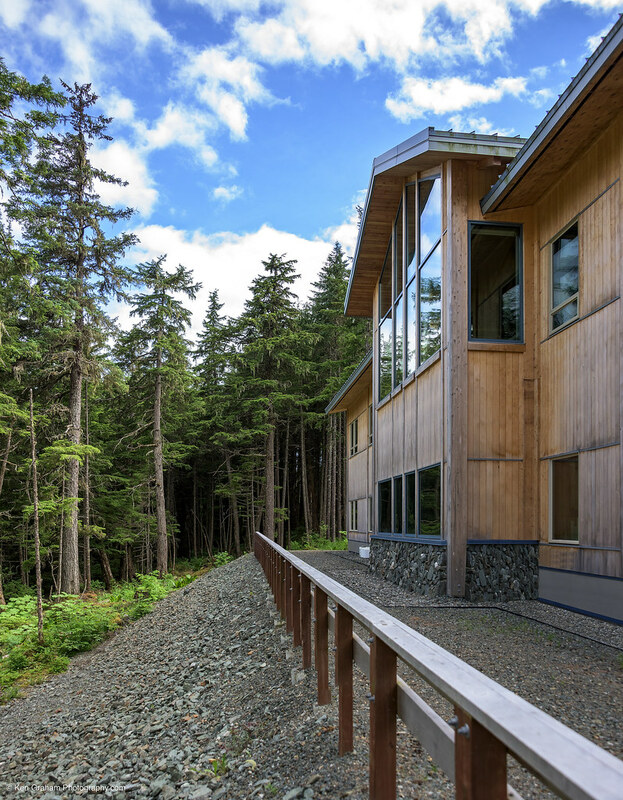 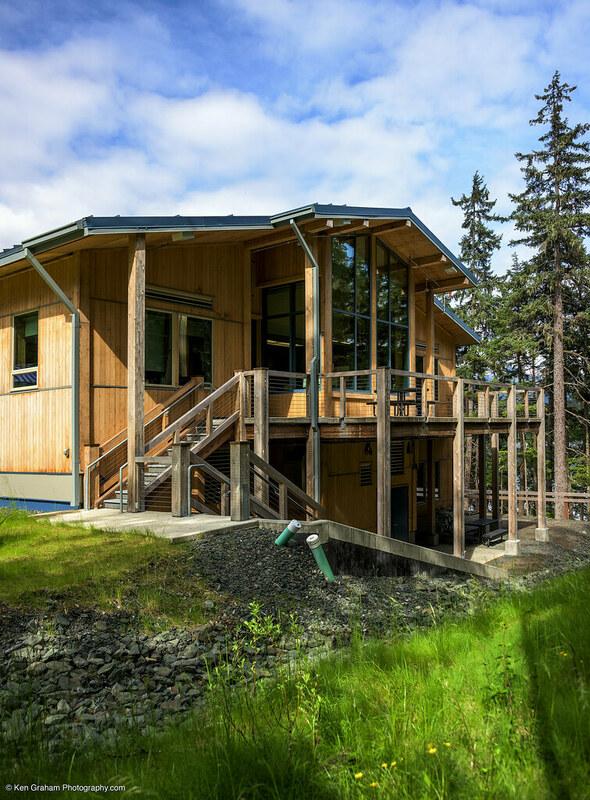 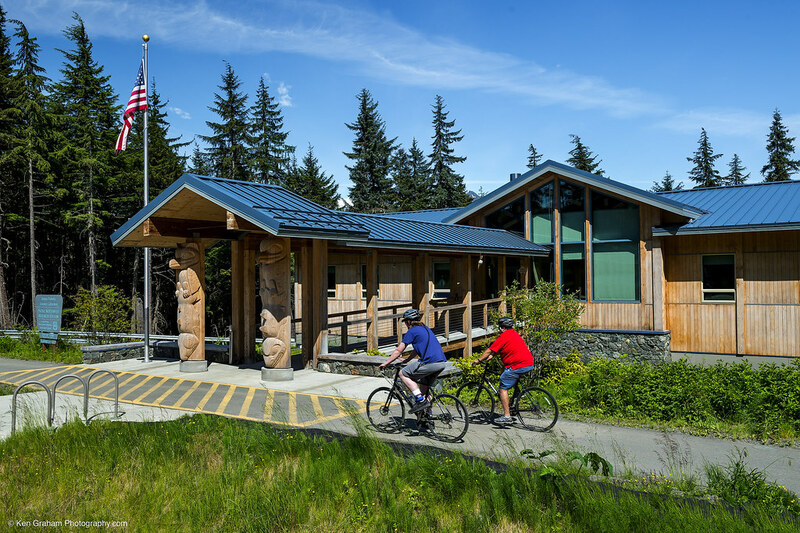 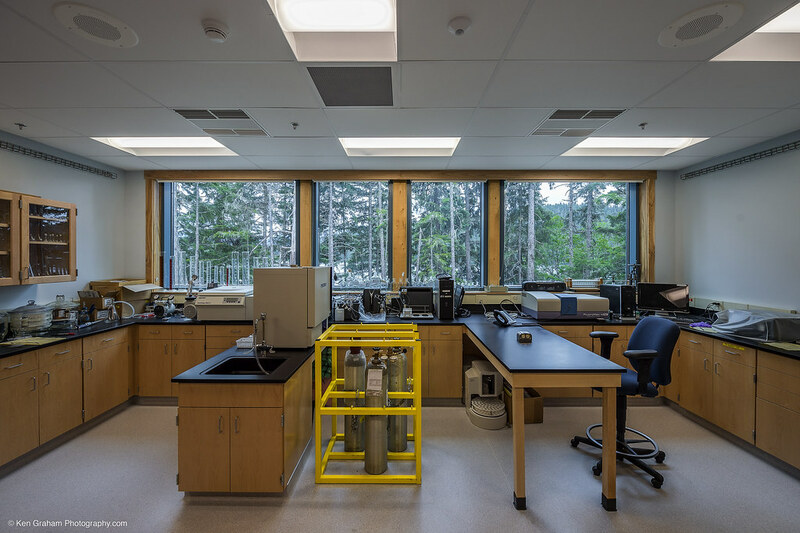 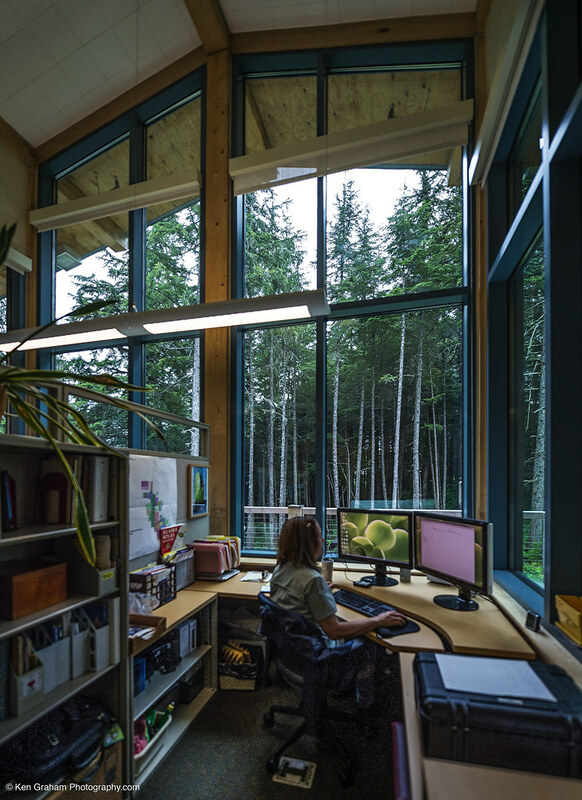 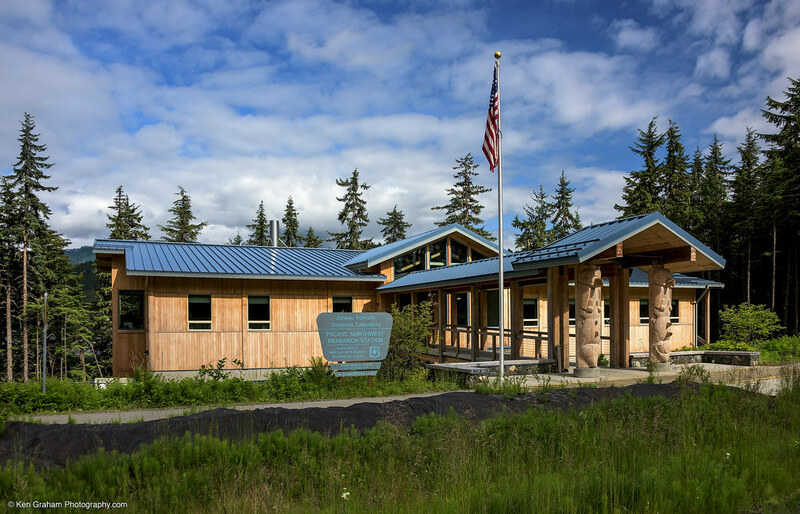 PDC provided the mechanical and electrical design for this office and laboratory building designated for Forest Service research and administration. 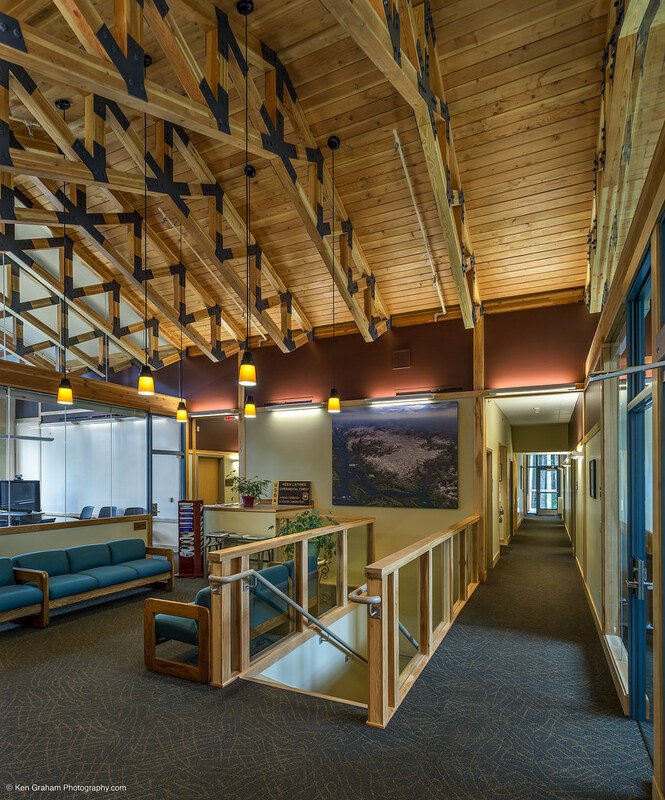 Services included lighting, ventilation, and heating. 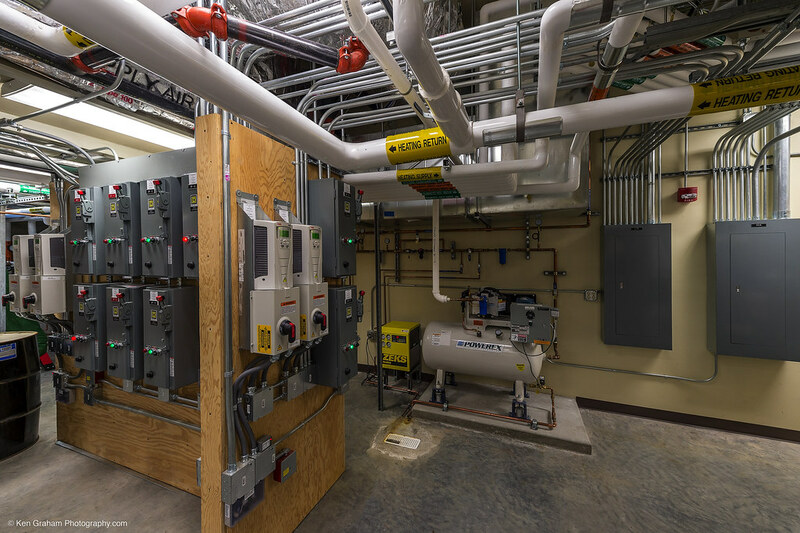 This two floor facility has a 100% O/A VAV system with heat recovery for the lab spaces, and a traditional VAV system for the office spaces. 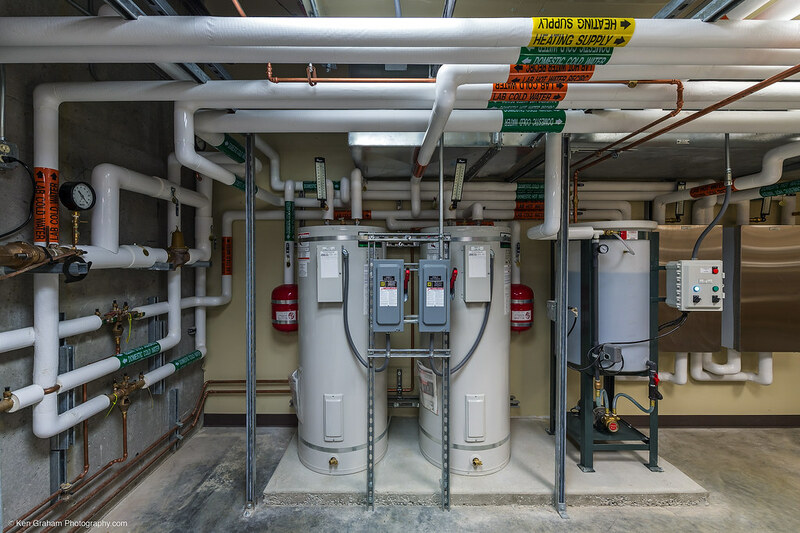 Special design considerations for energy conservation focused on the use of low temperature water provided by ground source heat pumps serving the radiant floor heating system.